Ginny comes to us all the way for Virginia. She has amazing lines, including Coshelav and other lines that Nathan, National Dog Show 2013 winner, has. 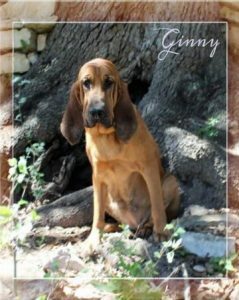 We are so excited to have Ginny in our pack. She has a lot of personality and just the sweetest girl ever.